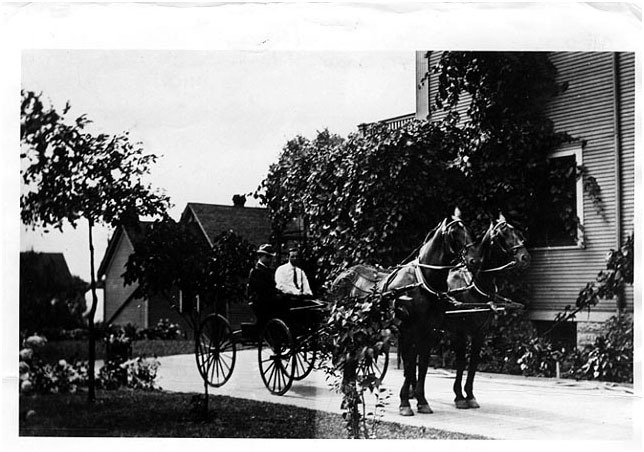 Peter John was a prominent shopkeeper and saloon owner in Dayton’s Bluff. 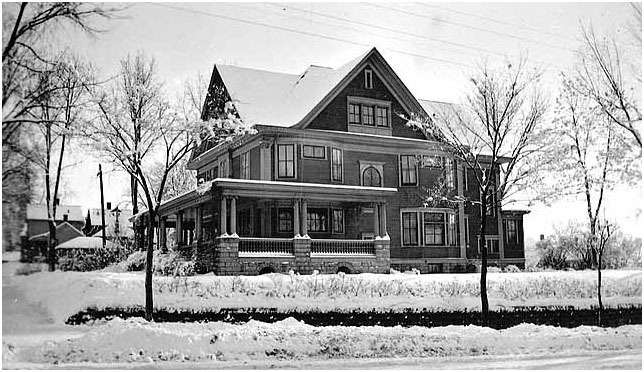 After marrying Louisa Hamm, the daughter of Theodore and Louise Hamm, the couple lived in this 1906 Colonial Revival house. It was the work of the architectural firm of Buechner & Orth, which designed a number of early twentieth century buildings in Saint Paul, including the Orpheum Theater. Information about the John family is difficult to find, but two items do show up in the St. Paul Globe. 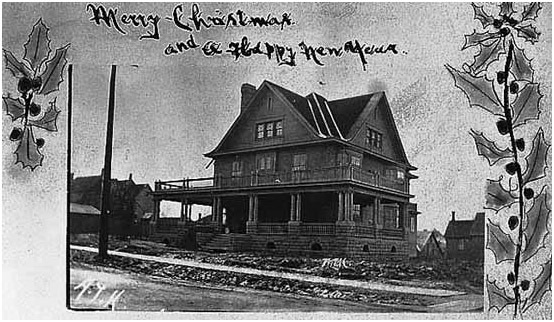 The first dealt with an 1885 dispute between Peter John and another man over three Payne Avenue properties. Sadly, the second was a notice from Peter and Louisa John announcing the death of Theodore, their “beloved infant son,” who died at the age of one year and three months. 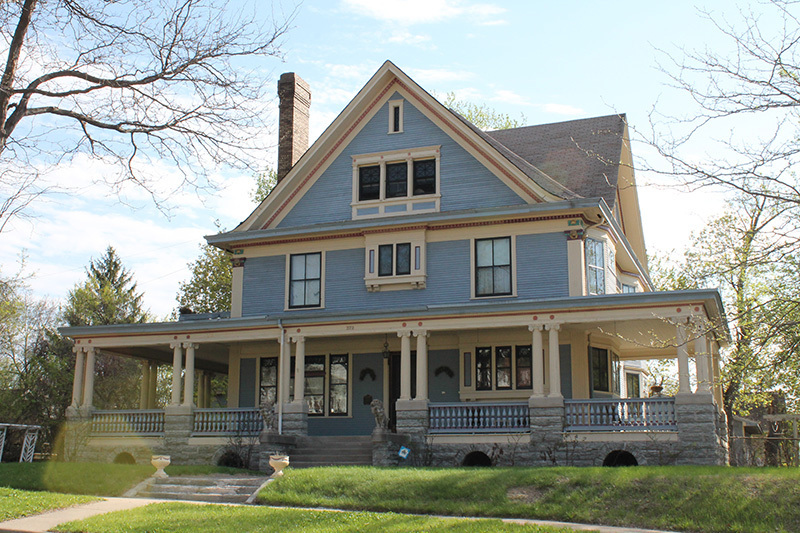 Steve Trimble, “Peter and Louisa John House,” Saint Paul Historical, accessed April 21, 2019, https://saintpaulhistorical.com/items/show/37.